As a relatively new Craftsy affiliate partner (through shareasale.com), I was offered a free course on Craftsy's very wide and diverse video tutorial library. I had always wanted to take a class in draping but until now had never found the time. 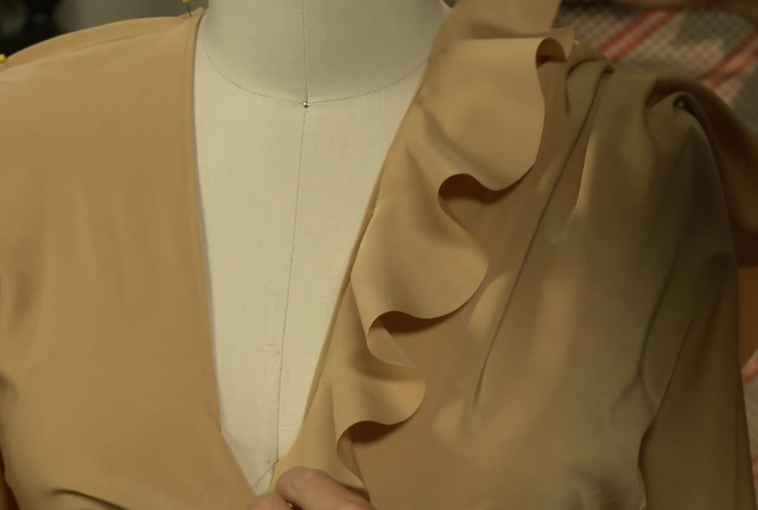 I decided to take the Craftsy Course: Fashion Draping - Bias Design with Paul Gallo. Some knowledge and experience in basic patternmaking, while not absolutely necessary, will make this particular course easier to follow. However, as with all the video tutorials on Craftsy, once you purchase you have access to the class as many times as you would like, whenever you like. So if there are any parts of the class that were unclear to you, you have the option of going back and viewing that part again. The video classes remain in your private Craftsy library and you need only log in to view it again and again. You may also post questions at any point in the video to address exactly your concerns and an expert will respond soon. It is free to join Craftsy. Join Now and once you do you will able to shop for supplies and download thousands of free or low-cost sewing and knitting patterns as well as share or sell your own. Have fun viewing the video classes taught by experts in: sewing, knitting, cooking, woodworking, painting, cake decorating, gardening and much, much more!